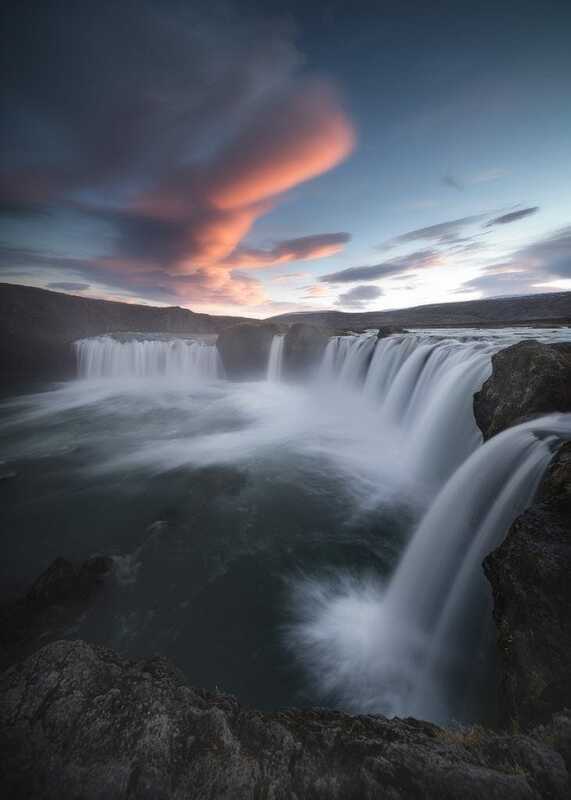 Almost any landscape photographer has a desire to capture the majestic panoramas of Iceland. 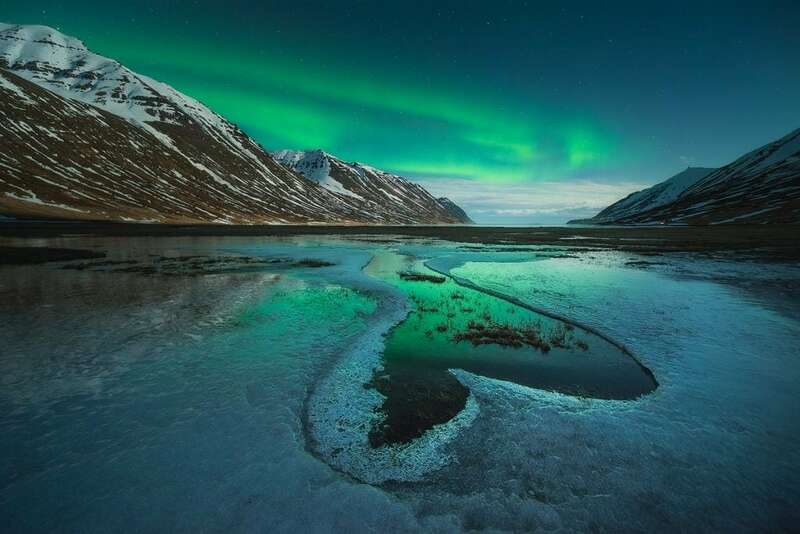 When you witness the jaw-dropping work of Kaspars Dzenis, you immediately want to check if there is enough money on your account to book that ticket and capture the natural wonders of Iceland. 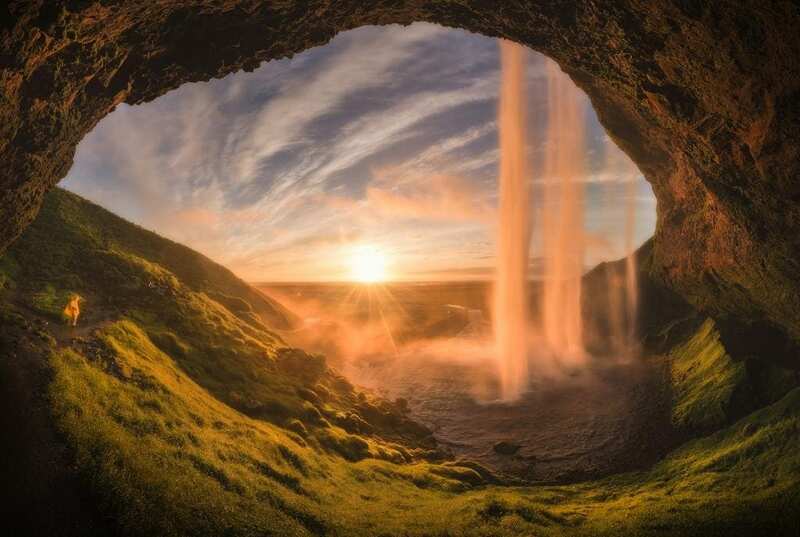 Kaspars Dzenis is a landscape photographer living in Iceland. Photography-RAW has had the privilege of asking him a few questions about his passion for landscape photography. Here he shares his best landscape photography tips with us. From where does your interest and passion for landscape photography originate? I’ve always been curious about many things that surrounded me. Photography was not an exception. As a young teen, I spend some time photographing abandoned buildings, but it never grew on me. The interest faded and I moved to other things. 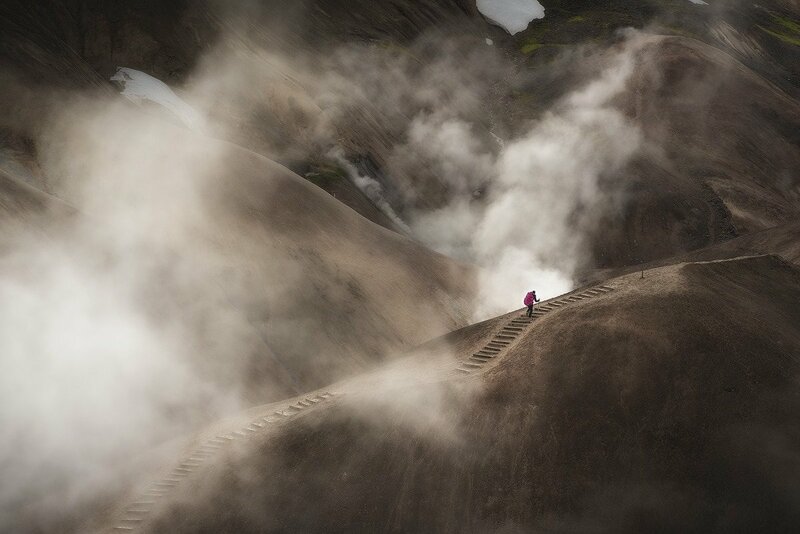 I rediscovered photography shortly after I moved to Iceland in 2011. Previously I never really paid attention to nature that surrounded me. But it all changed after coming to Iceland. This country can do that to a person. While doing odd jobs, I started to explore the country in my free time, and the camera was just my means to document my travels. However, something clicked, and I realized how much I enjoy landscape photography as a way to express my creativity. After a year of immersing myself into photography, I concluded that I had finally found an occupation to which I wanted to dedicate my life. So I made a conscious effort to learn as much as I can and get better to the point where my passion could support my life. How did you learn the craft of photography – did you have any formal training? No, I have never taken any courses in photography or any other art form. Everything I learned came from my own research. While you can argue that the internet is like a Pandora’s box, it does allow you to find information about virtually everything. So, I gathered lots of reading material, watched videos and studied the works of other photographers. That helped me to understand the technical aspects of the craft, but I was struggling to materialize my vision. It felt like I was missing some crucial information, something that was preventing me from improving my work. Despite that, I ploughed through this field of failures. Thankfully my passion persisted. I believe that without this passion, I would have given up. Once I started to see some progress, it became much easier and everything started to come together. I’m still far from where I envision myself, but overcoming that ‘rookie wall’ was the most important moment in my journey so far. Hopefully these landscape photography tips will help others to do the same. What you choose to take a picture of is largely subjective. There are plenty of choices as nature is so diverse, from large mountain ranges to small cracks in the ice and everything in between. The important question is: how can I visually translate the scene so it makes sense not only to myself but to whoever sees the image? Most importantly, you have to have the patience and ability to slow down. When I see a clear subject, be it a mountain peak, a creek, waterfall, textures in the snow, a valley, a stack of rocks, virtually anything, I make sure that everything else within the frame has a purpose, a sense of belonging. At the same time, I try to limit the number of visual cues (light, leading lines, etc.) and isolate the subject from the surroundings. One of my best landscape photography tips that I always give to my workshop participants is to keep it simple. The simpler the image, the easier it is to read it and stir up the emotions. You can achieve it with one image or by making a series of images to tell a story. How do you approach post-processing? Everyone has their own personal sense of visual appeal. For me, post-processing is a tool that allows me to achieve the result that I’m after, be it exposure blending, focus stacking or simple manipulations with colors and textures. To accomplish my vision, I use all of these post-processing techniques. I used to play a lot of video games, especially open-world role-playing games and that has affected how I process the images. They usually have dark undertones and an otherworldly appearance. There is an ongoing discussion that landscape photography has departed from the real world and photographers are manipulating reality and giving a false representation of it. While I don’t use composites myself, I believe that there’s no such thing as ‘the right way’ of how one should process images. As long as you are not purposely misleading others there should not be any limitations on how you present the image. I’m not concerned with labels and group identity. How important is gear for this style of photography? What camera gear do you use? For landscape photography, accessories play a significant role. Obviously you need a camera, and honestly, it doesn’t really matter what camera you have. All of the modern cameras, be it DSLRs or mirrorless are very capable. I like to use Nikon cameras. Lenses are next on the list, and I could survive with just two – one wide angle and one telephoto. Once again, it’s subjective, but personally, 90% of the pictures I take are with ultra wide angle lenses. I primary use Irix 11mm and Tamron 15-30mm. Occasionally I pull out my longer 70-300mm lens if the situation calls for it. I have four main filters that I use regularly. 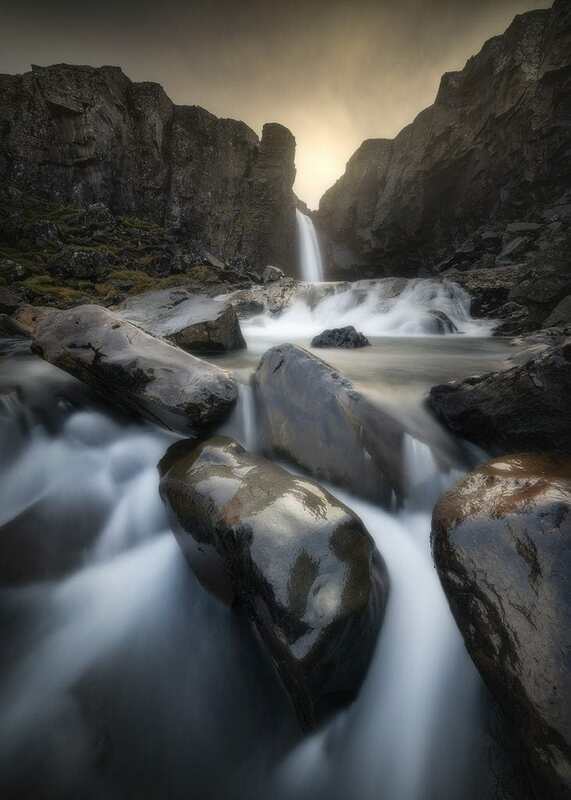 My most used filter is a three stop graduated ND filter. While you can bracket shots if the dynamic range is too large and achieve the same results, sometimes the whole scene is too dynamic to take multiple shots. For this reason, I prefer to use a filter almost always. I love to step down my shutter speed whenever there’s movement. I have my six stop and ten stop filter ready for any water or fast-moving cloud scene. Lastly, I have my polarizer for any time I need to enhance or diffuse reflection. This helps get rid of glare or bring out that rainbow. I use a Lee SW150 system for all my filter sets. I take my tripod everywhere with me. Seriously, I use a tripod even when it’s not strictly necessary. Why? Because it allows me to slow down, to think of my composition more carefully. I use a Benro tripod with an adjustable centre column. This will enable me to take shots very low to the ground. What landscape photography tips can you give to someone who’s just getting started? Be patient and practice, practice, practice. Be critical of your work and always look to take the next step forward. One of the most useful realizations I had after doing photography for a while is that the way my eyes see the world is different from that of a camera. You have to learn to distance yourself from how your brain perceives the scene to that of a specific lens and camera settings. Thinking of a scene carefully is critical. Trying out multiple angles and shutter speeds will train your imagination. Eventually it will become much easier to find compositions from the get-go, even in your own backyard. You can see more of Kaspars Dzenis’ work on 500px or follow him on Instagram. To learn more about Kaspars Dzenis visit his website.